Er... yeah how to follow that up? Hmm... Oh yeah! In case you are wondering what a Manabian is, then you need to take a look at the charming show that is Gakuen Utopia Manabi Straight! 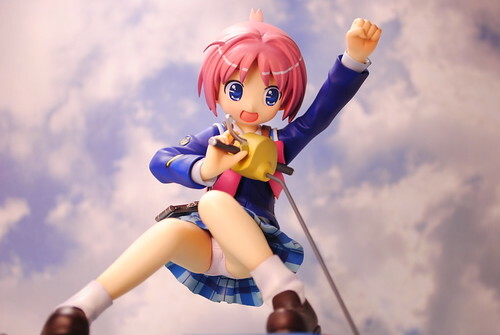 More specifically though, that title would probably only apply to Manabi herself. 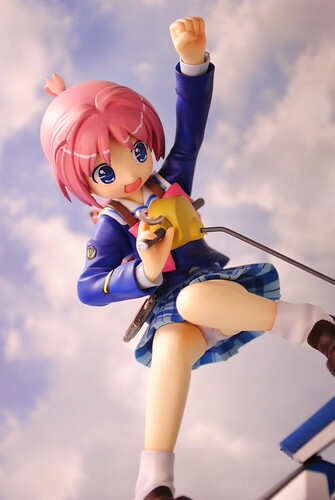 Once in a while I come accross figures that have been released before I got into collecting them, Manabi is one of them. 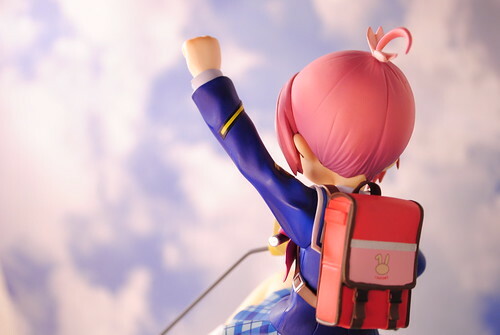 Amamiya Manami is the protagonist of the aforementioned show and manga Gakuen Utopia Manabi Straight! that aired back in early 2007. 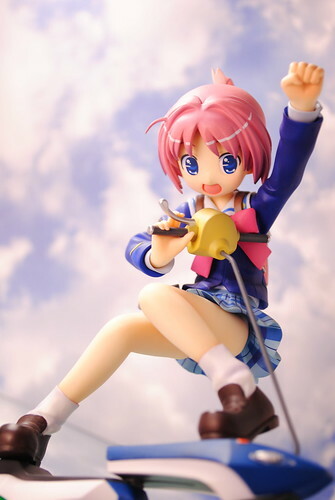 This rendition of Manabi was released back in mid 2007 by Good Smile Company for a nice 5524 yen. 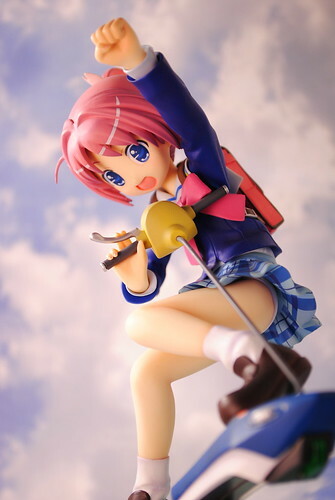 This was about a year before I got into figure collecting but this figure always caught my eye after having watched the show. There are several reasons that she caught my eye. 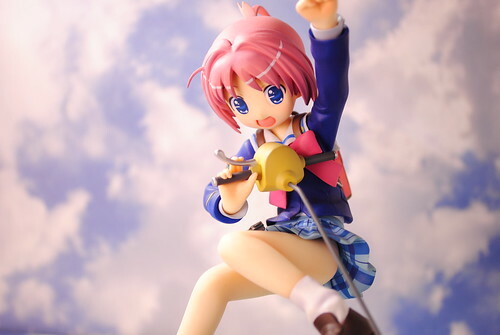 Among them is Manabi's pose riding her hover scooter as if she was jumping into the air shouting her catchphrase. Very fitting if you ask me given her energetic personality. Much like her pose at top her scooter I love her face, her eyes and her smile so full of energy. 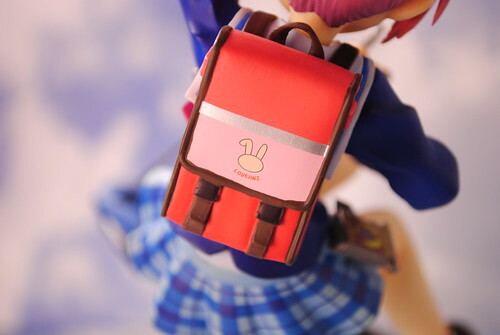 Plus there is always Good Smile Company's attention to small details as you can see on her backpack and PDA. 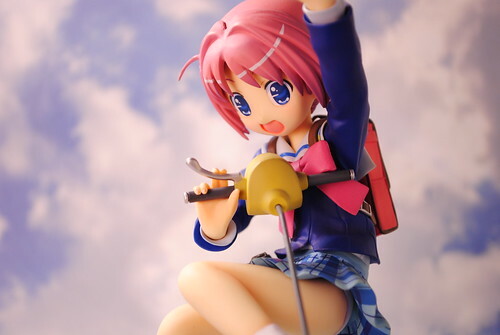 One thing I really liked was how the scooter going over some water was used as the base. I tend to like diorama styled bases more over all and I don't mind paying a bit extra for them. 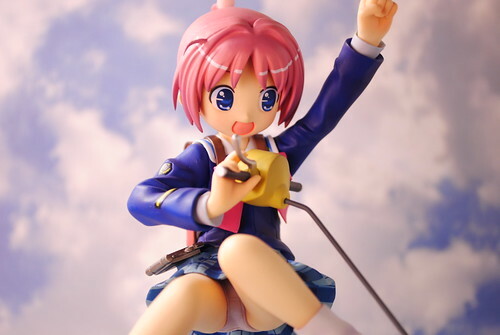 I almost forgot to mention it, I obtained Manabi when GSC made a re-release last year or was it two years ago? Can't remember exactly when it was. 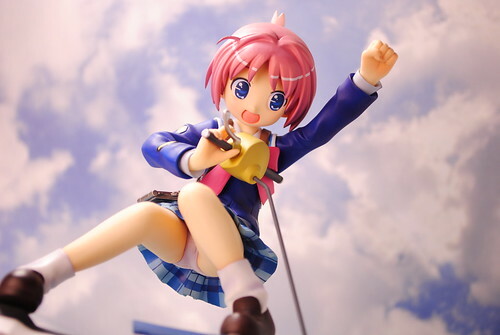 I think Manabi might be my second or third favorite scaled figure, she should have to fight it out with one of my Nanoha's or Momohime for second place. 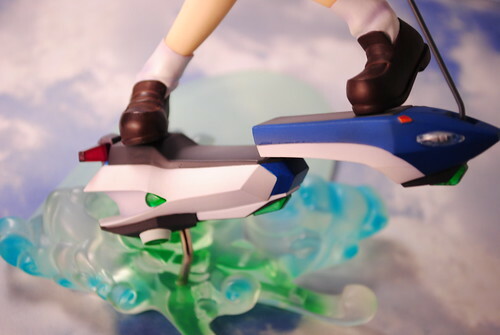 Kos-Mos is in first place if you are curious. That's all gotta say for now about Manabi.